Rivers have in many cases provided the resources and benefits necessary for the development of cities. Yet, in urban areas, rivers have often been seen as a threat to infrastructure and human health rather than as a resource, leading to their increasing degradation. 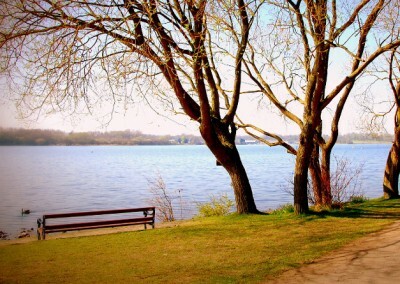 Many benefits that arise from protecting rivers and restoration projects can be similar to those from public parks where access is given and the restoration is designed to provide a similar environment, it can therefore be useful to refer to this factsheet to understand further benefits. Opportunities for river restoration in parks and other open spaces may also be more easily found than in higher density urban environments. Water bodies can have a cooling effect on their local area and so mitigate UHI effect. Wetlands and ponds that might be created through river restoration along with soils and vegetation can store carbon. The effect is size dependent (1, 15). In Seoul, daylighting of a a culverted river and vegetating the surrounding area has led to an average temperature of 14 degrees C lower than surrounding urban area (1, 4, 16). River landscapes are one of the most attractive landscapes, and this aesthetic quality provides many benefits by drawing people to the area. The effect on mental health has been described above and is also reflected in property values. Rivers receive water as runoff from their surroundings, even more so due to the increasing impermeability of the urban environment. 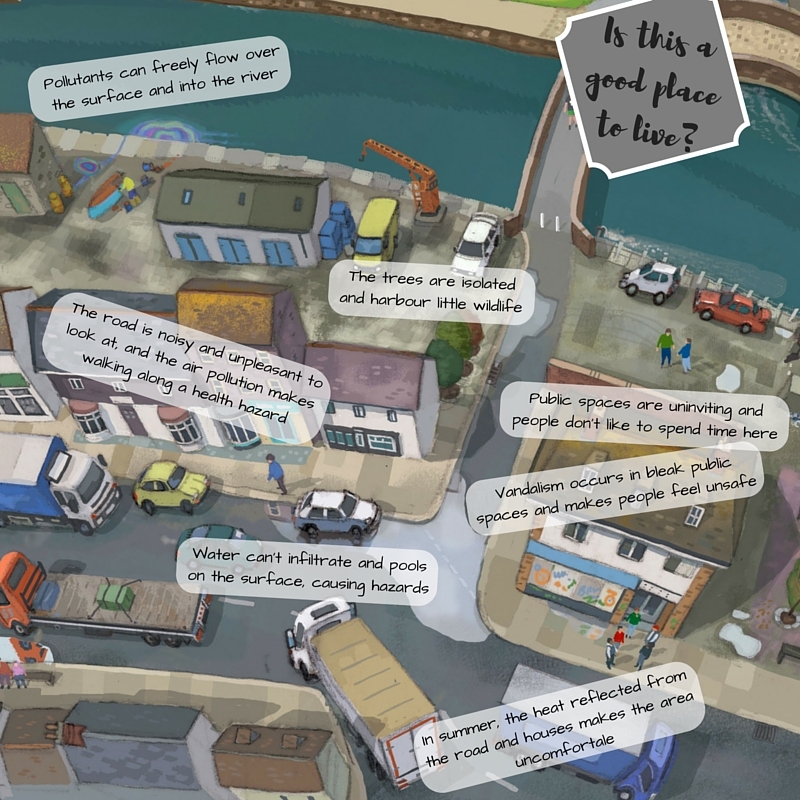 Sewers – meant to carry surface water flow, but often also carrying pollutants from misconnections – also discharge into watercourses. In addition, other pressures are present in the urban environment: air pollution from traffic can cause acidification. Pesticides from roadsides or amenity areas can reach the water, as well as fertilisers. Construction sites can cause high sediment inflow. (Environment Agency 2009). Past culverting and straightening streams and disconnecting them from floodplains has also had a degrading impact. To improve the state of urban rivers and restore the benefits they provide, there are many interventions that can be taken. Habitat can be restored, for example by removing hard riverbanks and re-meandering. Reducing runoff and pollution from hard surface by installing SuDS can improve water quality and work on a wider scale (7, 8, 19). The costs for river restoration are very variable. A study on restoration projects carried out in the EU has shown that costs can range between 100 to 3000€ (equivalent to about 70-2300£) per metre of river restored (9). The cost of SuDS depends on their type. water bodies have been found to be particularly significant in shaping people’s sense of place and improving their mental wellbeing. They provide attractive, stimulating features that have the ability to restore attentiveness and inspire creativity, and landscapes with water are perceived as more restorative than those without – even to the extent that urban landscapes featuring water are seen to be as restorative as green landscapes. Additionally, the improved recreational opportunities can give rise to increased social activities. Views of water and the sound of water have been shown to alleviate stress more effectively than other types of natural setting. Improved sales – high quality environments lead to an increase in money spent in local businesses and also encourage businesses to settle in an area. Employment – settlement of businesses in an attractive area can increase the local employment rate. Additionally, through the creation of parks new opportunities for businesses (cafes, outdoor recreation facilities) can improve the employment situation. 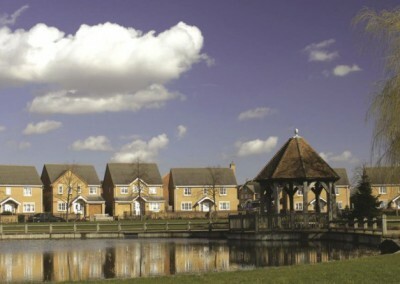 As restoration provides an opportunity for partnership working, the improved community ownership of places where restoration has been undertaken by an engaged community is likely to reduce crime and vandalism in the area (see “Access” and “Public Parks” factsheet) and increase the social connections between people living in the area. Maltby, E., Ormerod, S., Acreman, M., Blackwell, M., Durance, I., Everard, M., Morris, J., Spray, C. (2011) Freshwaters – Open Waters, Wetlands and Floodplains. In: The UK National Ecosystem Assessment Technical Report. UK National Ecosystem Assessment, UNEP-WCMC, Cambridge. van den Berg, M., Wendel-Vos, W., van Poppel, M., Kemper, H., van Mechelen, W. and Maas, J. (2015) ‘Health benefits of green spaces in the living environment: A systematic review of epidemiological studies’, Urban Forestry & Urban Greening, 14(4), pp. 806–816. Commission for Architecture and the Built Environment (2005) Decent parks? Decent behaviour? : The link between the quality of parks and user behaviour, pp.1–17. Everard, M. and Moggridge, H. L. (2012) ‘Rediscovering the value of urban rivers’, (April 2011), pp. 293–314. Jackson, R. J., Watson, T. D., Tsiu, A., Shulaker, B., Hopp, S. and Popovic, M. (2014) Urban River Parkways. Los Angeles. Palmer, M. A., Bernhardt, E. S., Allan, J. D., Lake, P. S., Alexander, G., Brooks, S (2005) ‘Standards for ecologically successful river restoration’, Journal of Applied Ecology, 42(2), pp. 208–217. RESTORE (2013) Rivers by Design. Bristol. Schanze, J., Olfert, A., Tourbier, J. T., Gersdorf, I. and Schwager, T. (2004) Existing Urban River Rehabilitation Schemes. Wallingford. Völker, S. & Kistemann, T., (2013) “I’m always entirely happy when I’m here!” Urban blue enhancing human health and well-being in Cologne and Düsseldorf, Germany. Social science & medicine (1982), 78, pp.113–24. Zelenski, J.M. & Nisbet, E.K. (2012). Happiness and Feeling Connected: The Distinct Role of Nature Relatedness. Environment and Behavior, 46(1), pp.3–23. 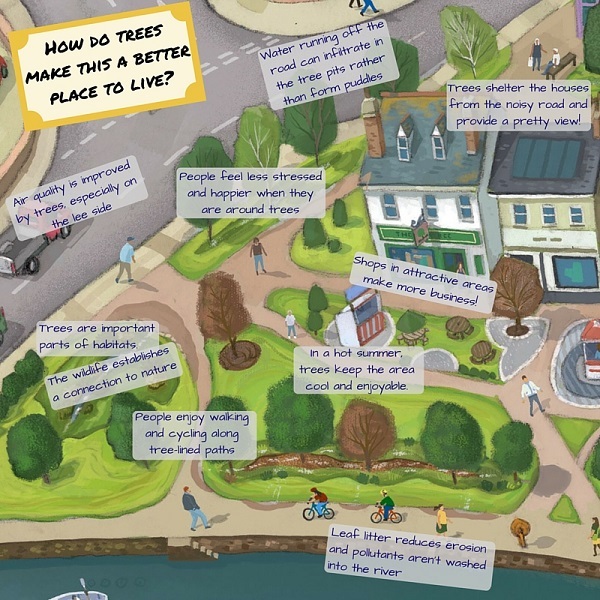 Sunderland, T. (2012) Microeconomic Evidence for the Benefits of Investment in the Environment – Review, Natural England Research Reports, Number 033. 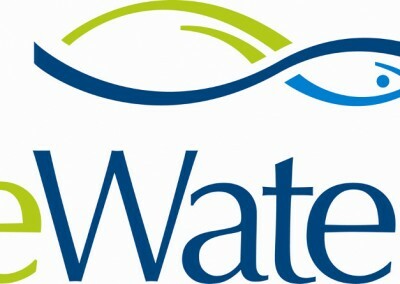 Environment Agency (2009) Water for life and livelihoods. River Basin and Management Plan Thames River Basin District. Annex G: Pressures and risks. Kayranli, B., Scholz, M., Mustafa, A. and Hedmark, Å. (2009) ‘Carbon Storage and Fluxes within Freshwater Wetlands: a Critical Review’, Wetlands, 30(1), pp. 111–124. Hathway, E. A. and Sharples, S. (2012) ‘The interaction of rivers and urban form in mitigating the Urban Heat Island effect: A UK case study’, Building and Environment, 58, pp. 14–22. Wood, C. R., Pauscher, L., Ward, H. C., Kotthaus, S., Barlow, J., Gouvea, M., Lane, S. E. and Grimmond, C. S. B. (2013) ‘Wind observations above an urban river using a new lidar technique, scintillometry and anemometry’, Science of the Total Environment. Elsevier. International Association of Certified Home Inspectors, Inc. (InterNACHI) (2016): Constructed Wetlands: The Economic Benefits of Runoff Controls.